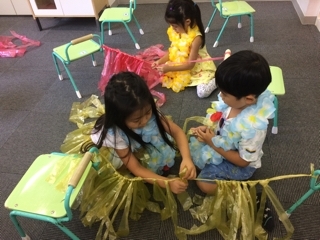 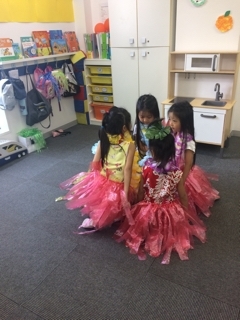 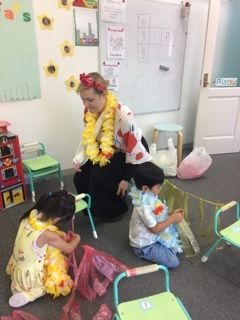 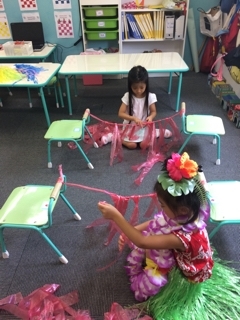 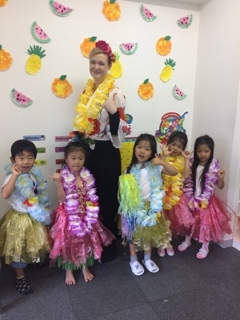 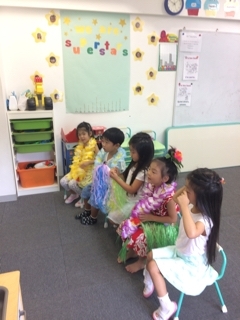 We had Hawaiian day in Sunday class. 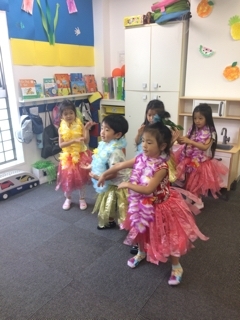 They performed a Hawaiian dance in front of their parents. 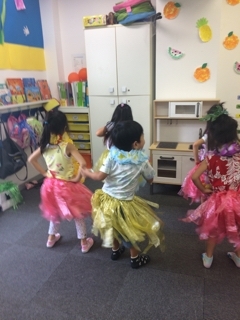 Their hip shaking was so cute. 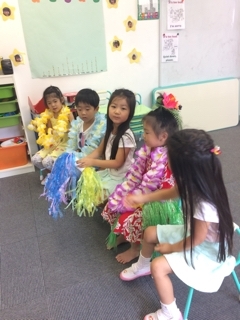 We had a good lesson about Hawaii.